This article was first published by GR in June 2013 the author of which is the truthnewsinternational blogsite. Whether the content of the alleged e-mail is correct, that’s open for debate. Fact is that PressTV has an article online which supports the claims in the alleged e-mail. 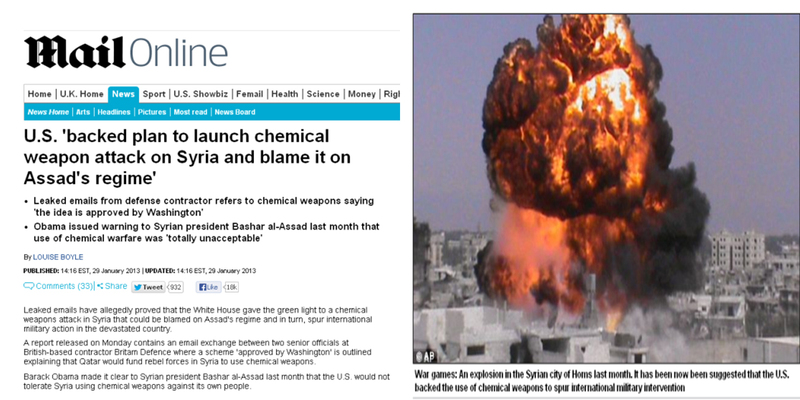 And RT‘s article from last year (June 10, 2012) still claims that “Syrian rebels aim to use chemical weapons,” to then blame Assad for it. Those weapons came from Libya, according to RT. This begs the question: Did Christopher Stevens know about those weapons when he died in the CIA villa in Benghazi last year? Yet it’s ironic that Mail Online did not delete their other article where they wrote about the UN’s Carla Del Ponte who claims that Syrian rebels are responsible for “sarin gas attacks, which had been blamed on Assad’s troops.” The same rebels who now receive resources from the EU and the U.S., since the EU is buying oil from those “rebels” and the US is arming them for a proxy war as the Washington Post describes it.
? Artificial Intelligence – The Biggest Hope Or The Greatest Threat To Humanity? Bank Of England Are Replacing Animal Fat In £5 Notes With Something Even More Damaging To The Environment ?